As the above description demonstrates, augury, divination by interpreting the flight, action, song and colors of birds, dates back to ancient days. One can safely assume with most inscriptions of this kind of lore that the procedure described was in actual practice for many many, years before anyone bothered to write it down. It’s the same with fairy tales, folk songs or myths – they didn’t appear the moment someone actually decided to record them, instead they are part of a long oral tradition whose original telling disappears into the mist of prehistory. 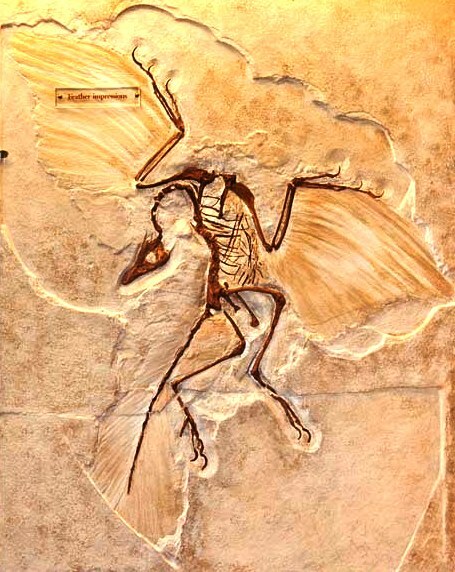 Birds are descended from dinosaurs, survivors of the great worldwide destruction by comet that marked the end of the Cretaceous period. They have been around for the entire history of the human race – good fairies at our birth, flying between the worlds of imagination and physical reality to bring us messages from the gods and from our own innermost selves. Interpreting their messages requires a profound knowledge of bird behavior. Once upon a time, when most people lived close the land and saw the divine in everything, folks paid much closer attention to the way things work and connect. But as time passed, many of us moved to cities and our work became so specialized we diverted our attention from the wider world and began to focus on the inner workings of one or two things instead of the interrelationship of the many. Gradually, we came to rely on prophets, priests, oracles and augers to pay attention in our stead and tell us what meaning the signs, we once interpreted ourselves, held. My collage depicts just such a person. She sits on the edge of a large pot or cauldron symbolizing the primordial womb that contains and sustains, protects and gestates, provides food and gifts and gives birth. It represents the dark void out of which the universe sparks into being. Out of her pots fly seven birds whose flight will inform her answer to the question I have come to ask. She is a priestess of the night and her rites are conducted in the light of the full moon. 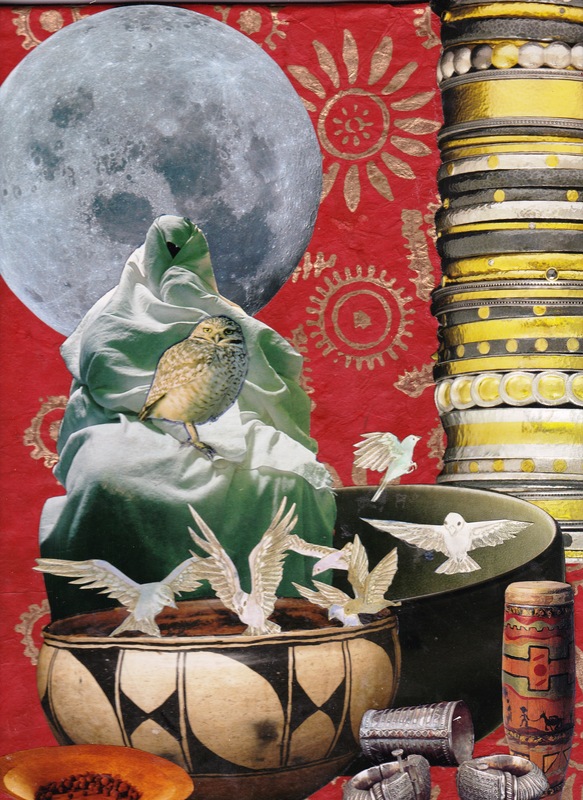 Her special guide is an owl, once sacred to Athena, Greek goddess of wisdom. Owls have long been symbols of wisdom, sorcery and magic. 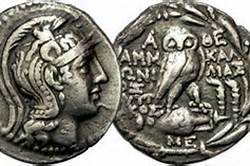 The owl was believed to have the power to illuminate Athena’s shadow side, thus enabling her to speak the whole truth. Ancient Romans believed that an owl’s heart, placed on the breast of a sleeping woman, forced her to tell all her secrets. 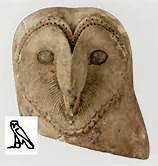 Egyptians drew owls, sculpted them and wrote with them. To this very day, Algerian folklore states that to make a woman tell you everything, put the eye of an owl into her sleeping hand. Most cultures attach symbolic meaning to the owl, for good or ill they associate it with femininity and magic. Owls are found in all regions of Earth except Antarctica and some remote islands; their DNA dates back to the very first birds. Humans have held them in special regard since the beginning. 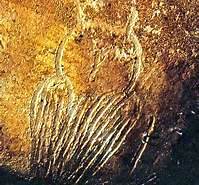 Witness the cave paintings of Chauvet, France, which date back 35,000 years, and contain a depiction of an owl, drawn the way today’s children still draw them. Owls are considered evil omens by some, but I think that dread arises from fear of the dark. Once one accepts darkness and learns to appreciate its gifts, fear diminishes, though a certain amount of awe and respect is appropriate and necessary to approach the divine in any aspect. Recently a friend found a small owl dead beside the road. She is drying the body out in cornmeal and in a month or so we will respectfully and ceremoniously pluck and divide the feathers. Owls hold special symbolic significance for me and form part of my individual cosmology. I feel honored that Owl has made its presence known, once again, and am glad for the privilege and opportunity of acknowledging it through art. I didn’t realize that any living thing actually survived the impact of the comet that wiped out the dinosaurs…of course the birds were in the air, not on the earth when it hit. How astonishing is that revelation! Another gift that owls have is the ability to see 360 degrees because they can turn their heads completely around, so they are all-seeing (which can feel threatening if you don’t want to be seen). How I love symbolism! What you reveal and share about the mysteries washes over me like a welcome rain that feels so familiar and that reconnects me to other times and places I only remember from my depths. Thank you for opening portals so that we may see and feel the mysteries. Thanks Sooz, the threshold has always been my favorite dwelling place. Some of the archaeologists think that the owl from Chauvet is shown looking around over its shoulder because the lines look like folded wings – so both its front and back are shown.